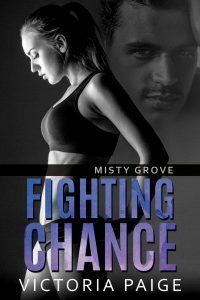 Newly appointed sheriff Trent Stone is investigating the murder of his predecessor that leads him to Misty Grove. A town lined with regular diners and general stores, yet its inhabitants appear to be anything but ordinary. His curiosity is piqued further when his first encounter with one of its citizens is at the end of her shotgun. Things heat up between them but turns complicated when Cassie gets hurt in a suspicious incident and becomes a prime suspect in a homicide. His job is on the line, and yet the need to keep her safe is what matters to him most. But when the town’s secrets are revealed, the looming menace is way above his pay grade. It’s a threat that could rip away the woman he loves unless he makes a tough decision. One that will give him and Cassie a fighting chance at a future together. * Explicit sexual content and strong language. Standalone romantic suspense with science fiction themes.